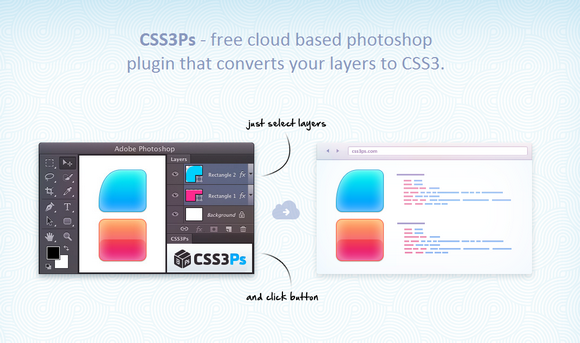 CSS3Ps is free cloud based photoshop plugin that converts your layers to CSS3. You can select several layers and groups of layers and convert them in one click. Stroke is converted into CSS border property. Inner Shadow, Inner Glow, Drop Shadow, Outer Glow are converted into CSS box-shadow property. You can see the result styles in browser and share them with other people. It works on Windows or Mac OS X and Photoshop CS3 and later. And best of all, it’s absolutely free! This is incredible, I read about a service similar to this one. But that one you had to purchase in order to use. This one seems ways better…BESIDES being free!